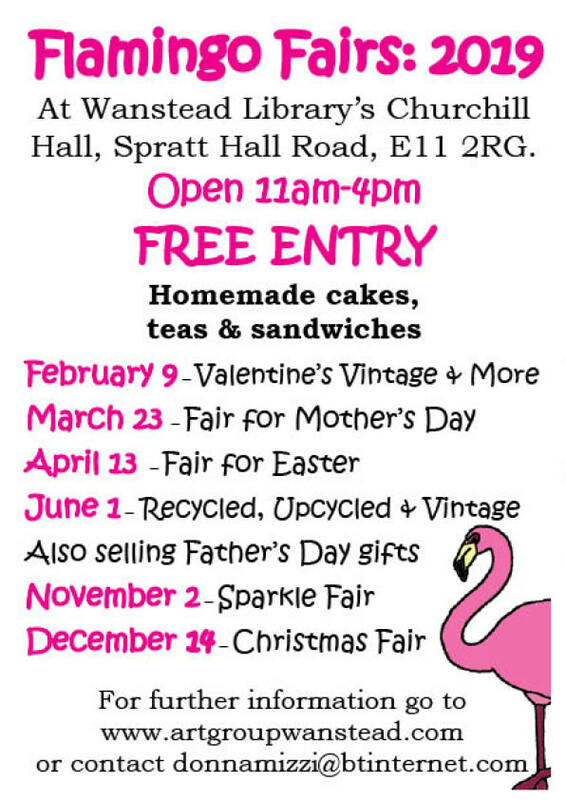 Below are the dates of the Saturday Flamingo Fairs lined up for this year. These friendly community-bullding fairs have been running for eight years. As well as providing tables for creatives and fledgling businesses, Flamingo Fairs helps to publicise the Art Trail and Art Group Wanstead.For more information about tables, contact Donna Mizzi: donnamizzi@btinternet.com (With your enquiry, please include details of what you want to sell or promote).